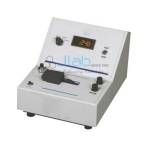 Jlab organization has been achieved new milestone by offering Photo Colorimeters to the customers. These Photo Colorimeters are created up by exploitation top quality material and innovative technology. These photo Colorimeters are offered in compact styles, are straightforward to operate, has durable construction and responsibleness operational. 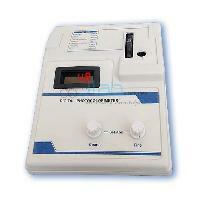 Furthermore, these photo Colorimeters are offered to the clients at the cost effective price in the market. 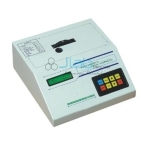 Photo Colorimeter Manufacturer, Photo Colorimeter Suppliers, Photo Colorimeter Exporter, Blood Testing Instruments, Analytical Research Equipments, Photo Colorimeter India, Analytical Equipments, Research Equipments India. Microprocessor Photo Colorimeter is a compact and easy to operate instrument for Photo Colori-meter analysis of any concentration.